2 Bedroom House For Sale in Greater Manchester for £144,995. Hi. I won't be here for long so if you want to know how you can enjoy my spacious lounge with patio doors to the back garden with help to buy call me now . 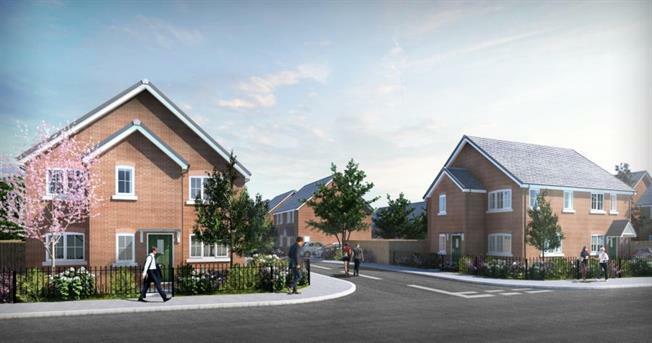 Willows Court is a modern, attractive development of 2 and 3 bedroom houses and 2 bedroom bungalows in the heart of Weaste. The homes benefit from high-quality modern specifications and have been designed with energy efficiency in mind. Willows Court is one of the best connected developments in the area, with everything you will need to lead a vibrant and exciting lifestyle. There is culture, nightlife, shopping and plenty of schools close by. Employment centres and road/rail networks are excellent. Choose from 2 or 3 bedroom homes, all available with Help to Buy. Located only a 2 minute walk from Weaste Metrolink station, and a similar drive to the M602, the location provides immediate access to Manchester city centre and MediaCityUK. schools, colleges and universities available close by. Mulbury Living is a leading residential and mixed-use property developer, best known for creating homes that people love . With over 40 years' experience in the new homes industry, Mulbury prides itself in delivering high quality developments across the North. They have built a strong reputation for creative design, excellence in workmanship and treating everyone with respect.